When it comes to commercial carpet cleaning, you should absolutely receive the same level of service and quality that you would receive in your home. Here is a look at a few things to keep in mind when looking for a quality company to do cleaning for you. What is their reputation? Be sure to check out their Yelp, Angie’s List, Better Business Bureau and Google reviews. These reviews cannot be purchased and are honest. Look at all of them. You want to take the time to know the quality of work that you will get. Please note that here at The Specialists, we have excellent reviews on the Better Business Bureau, Angie’s List, Yelp and Google. We have over 100 five-star reviews on Yelp. 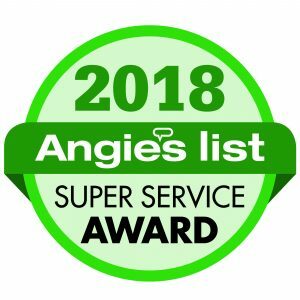 Also, we have won the Angie’s List Super Service award for seven years in a row! Ask for a complimentary, in person, no obligation quote. Any reputable company will give you a free quote. You want the person to come to your place of business for several reasons. The first is for accuracy. You want someone who is only going to charge you for the cleanable space. Who wants to pay more for areas not cleaned? Secondly, you want to meet the estimator face to face. This is the face of the company and will give you a good idea of what they are about. Did they answer your questions thoroughly and to your satisfaction? Did they explain everything in terms you understood completely? Finally, so you will have a firm written price. You certainly don’t want to hire someone to come to your company without knowing what it is going to cost you. Is the company certified? Certification is important to know about. You want everyone that works for the company to be certified by the Institute of Inspection, Cleaning and Restoration Certification. This is important so you know that everyone has had the intensive training that helps the technician(s) be confident to know how to handle any cleaning situation. Is the company insured? Think about the trust you put into cleaners that will come (more than likely) into your place of business when no one else is there? An excellent company is well insured. What method of cleaning are they using? Commercial carpet is generally just glued down, with no padding underneath. If cleaned improperly, the adhesive gets removed and then the carpet will be ruin. Ask them about residue. They should be rinsing it well, this helps keep the traffic areas cleaner. If there is any residue left it will attract more dirt! Do they have experience with alarms? Most companies use an alarm system. Here at The Specialists, we are well versed in using all kinds of alarms. For your peace of mind, you need to know the carpet cleaning company can handle it. What is their customer service like? Here at The Specialists, we will call the business day before your appointment to remind you. We will also, upon request call and let you know when it’s done and let you know we have re-set your alarm. Have industrial floor mats by the door. This will help keep a lot of the dirt off the main carpets. Weekly cleanings. Having a regular janitorial cleaning is essential. They should be deep vacuuming the carpet twice a week. Regular maintenance cleaning. We recommend once a month preventative cleaning and every quarter to 6 months to do a thorough deep cleaning, depending on traffic flow. See this post for what The Specialists recommend for this. We also can deep clean your companies tile & grout and upholstery of all kinds. We can help keep your office in tip top shape.